The Convertoplane, cross between an airplane and a rotorplane, was developed in the United States in the 1930s by the Gerard P. Herrick, aided by Ralph H. McClarren of Philadelphia's Franklin Institute. Basically, the design was a biplane with an upper wing that could function either as a lifting surface or as a two-bladed teetering rotor. 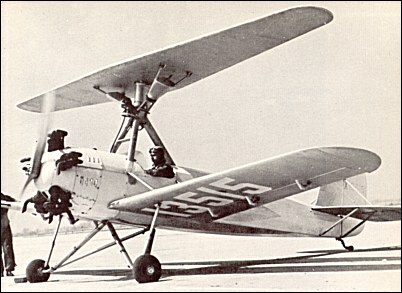 Flown by test pilot George Townsend in 1937, the aircraft demonstrated successful conversions in flight from a biplane to a rotorplane. Herrick was striving for an aircraft that could achieve speed as an airplane while possessing ability to convert to rotating-wing configuration for landing and take-off in tight areas.